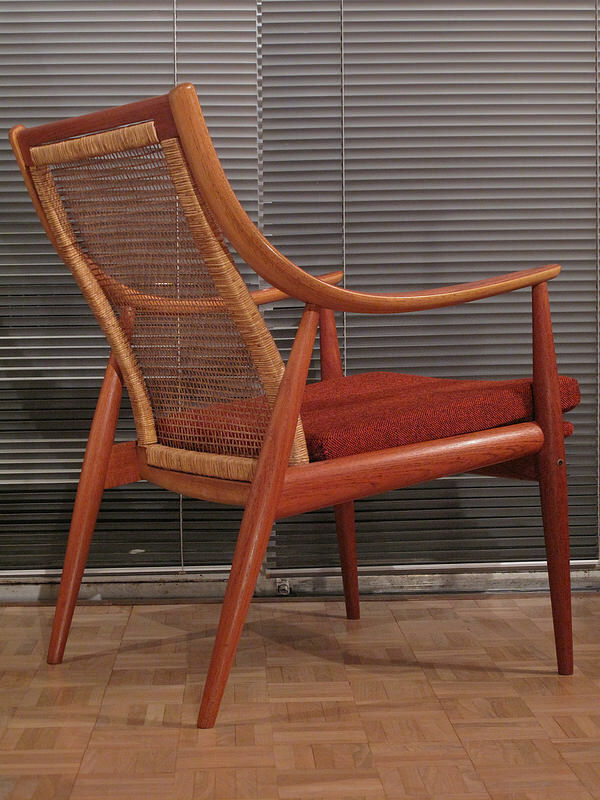 A lovely lovely model F/D 146 rattan back lounge chair. 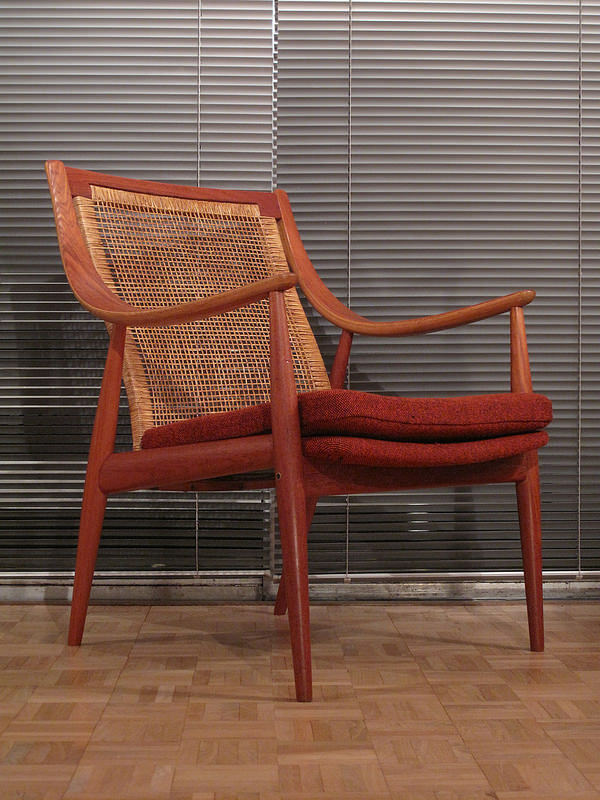 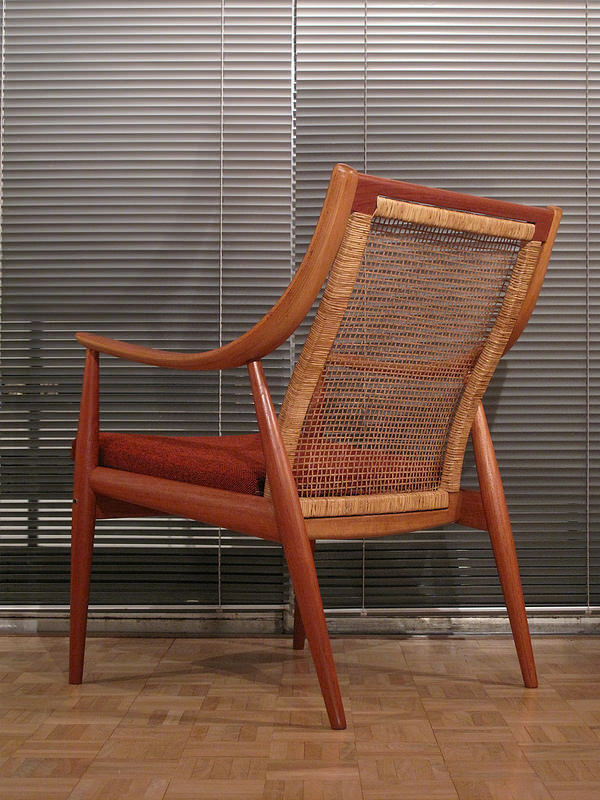 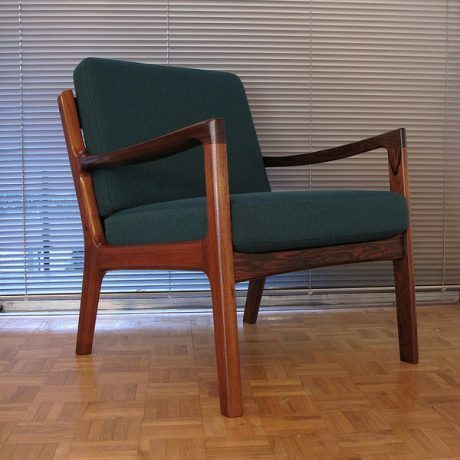 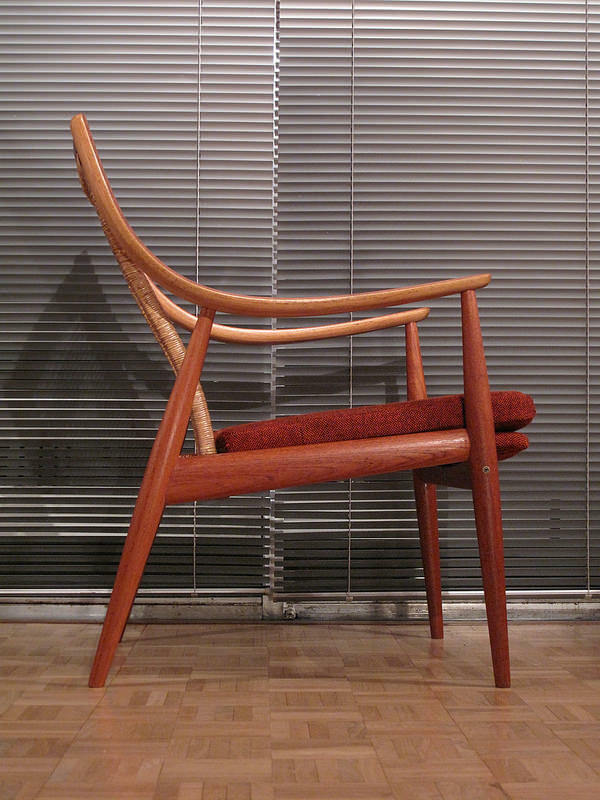 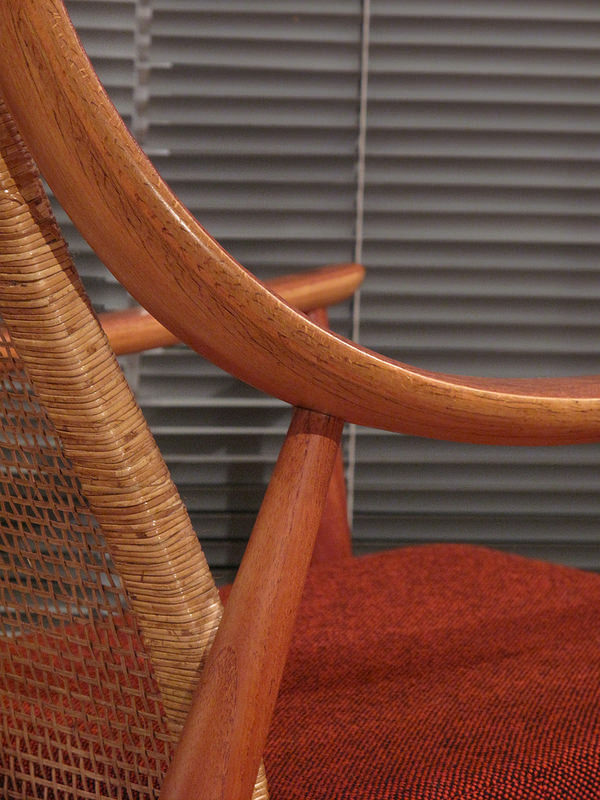 This variation with the rattan backrest is very seldom seen and happens to be one of our favourite Danish chairs. 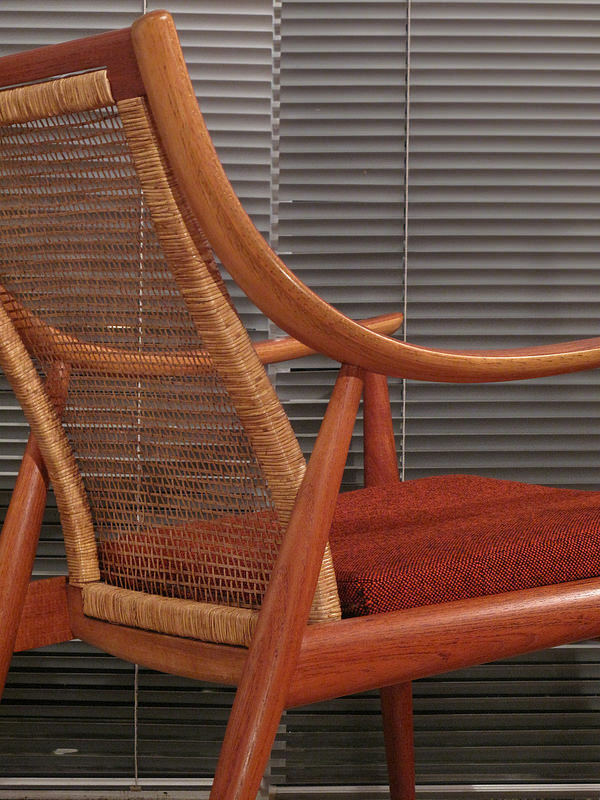 Featuring a solid teak frame with dramatic swooping armrests produced from laminated beech topped with a thick veneer of teak. 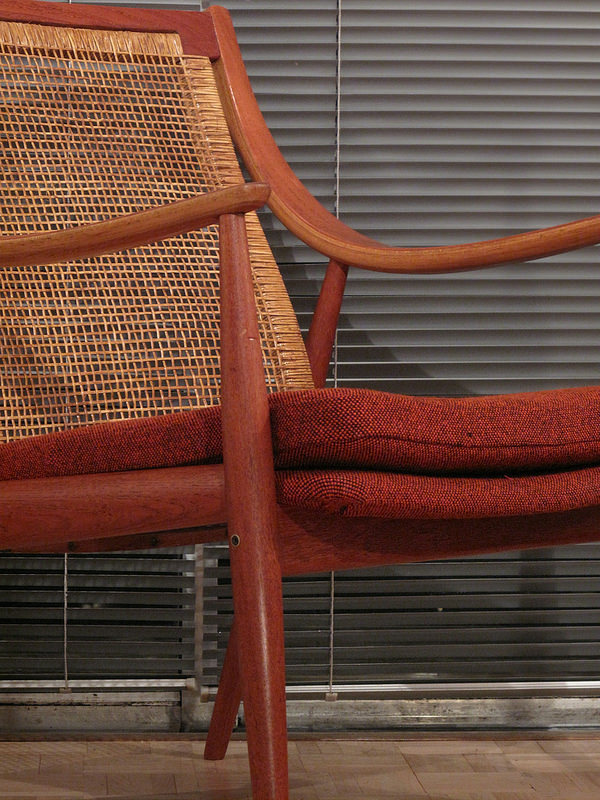 This chair is an absolute visual feast. 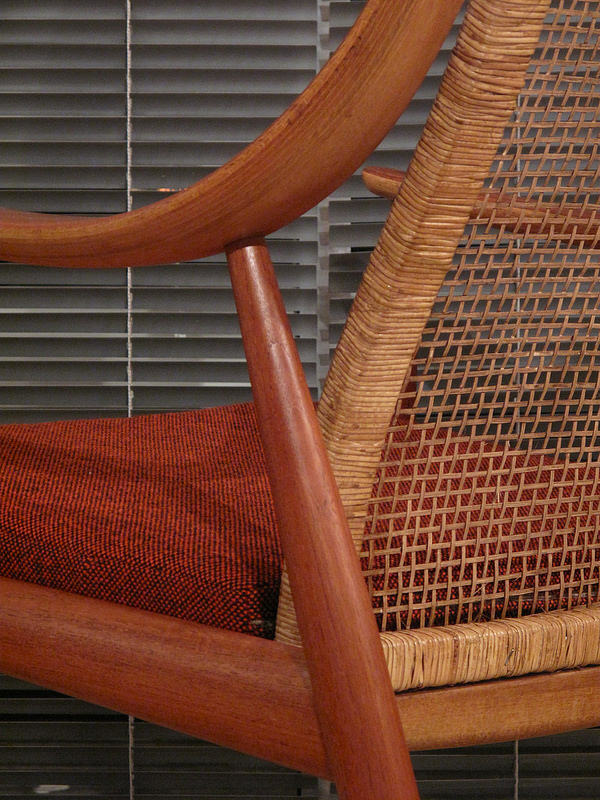 When viewed from behind the intricate rattan work can be fully appreciated. 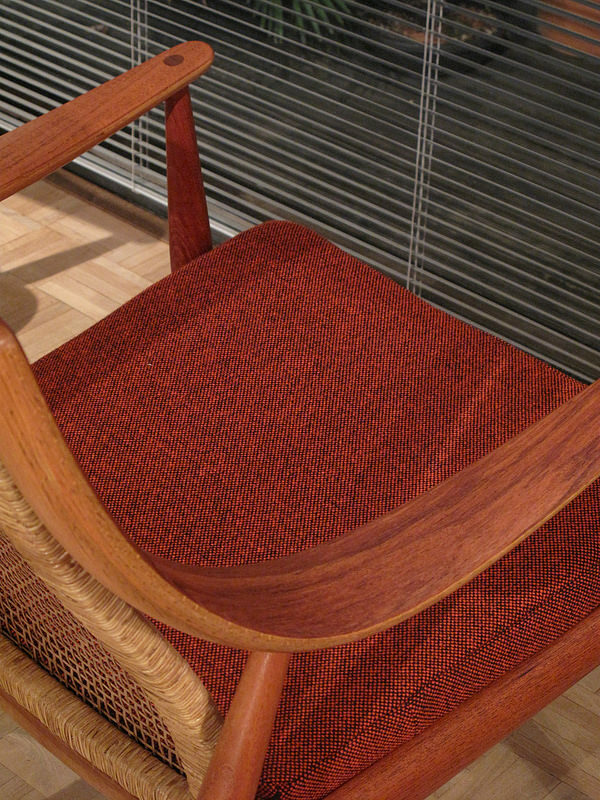 We have reupholstered with the very finest fabric designed by Nanna Ditzel for Kvadrat. 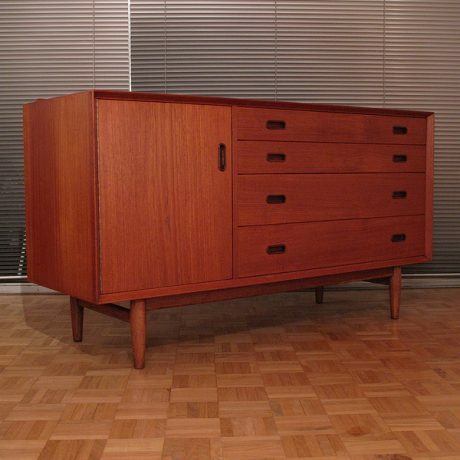 This design had a good amount of exposure on the first few series of Mad Men as a pair were used in Don Drapers office. 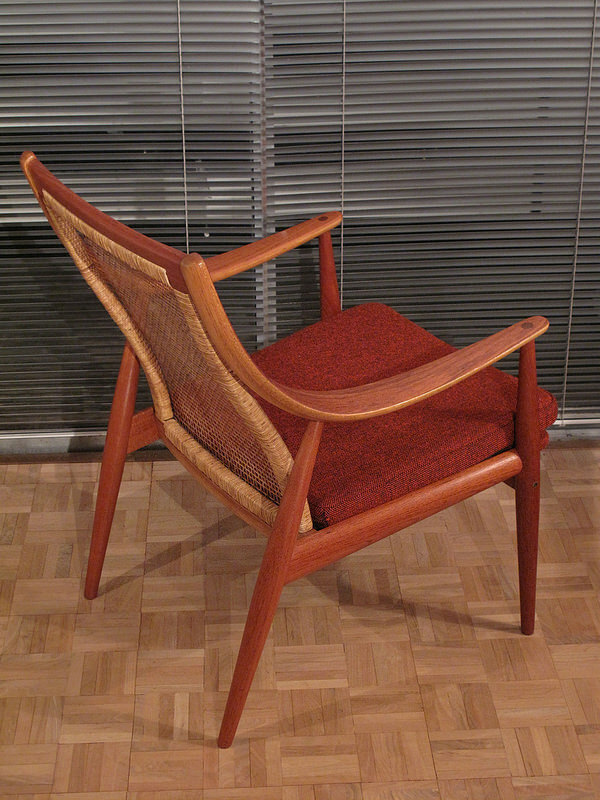 This is an early France & Son production most likely made in the late 50′s. 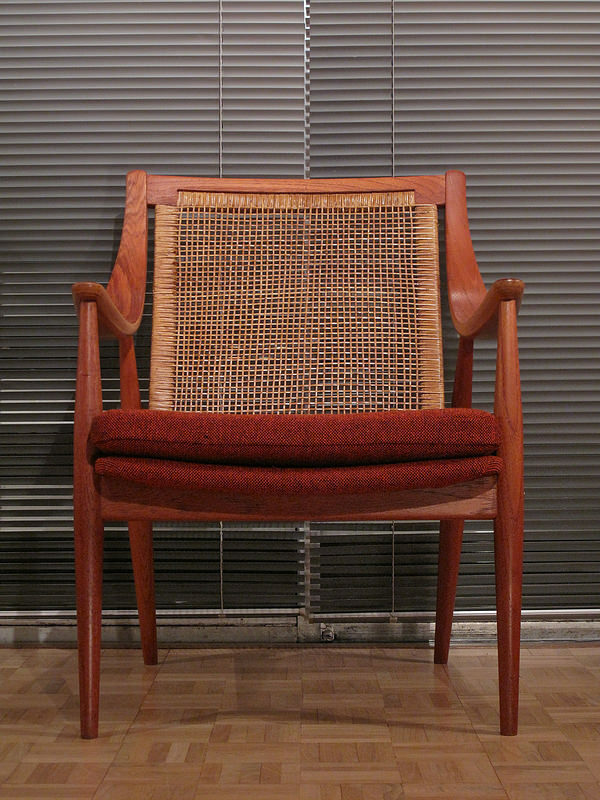 CONDITION: Excellent condition throughout with brand new professional rewoven rattan.